The reality these days is those “reality fighters’’ from the first three years of “The Contender’’ series are starting to make life difficult for the skeptics. Since the inception of the series, first on NBC and the past two years on ESPN, the purists have done nothing but vilify the product and the fighters involved, but that becomes more difficult to do after someone like Brian Vera comes in and stops undefeated and highly touted middleweight prospect Andy Lee, as he did several weeks ago, or when Cornelius “K-9’’ Bundrage, who was a finalist in last year’s series, outhustles and upsets former junior middleweight champion Kassim Ouma, as occurred two weeks ago. Add to that the toe-to-toe “Contender’’ finale in Boston last year between Jaidon Codrington and Sakio Bika that was so scintillatingly entertaining it was legitimately mentioned as a “Fight of the Year’’ candidate in 2007, and even their worst critics find dismissing these “reality fighters” as less than the real deal is becoming more and more difficult to do. “This class (from season 3) has done better than the first year’s,’’ conceded Carl Moretti, long-time matchmaker at Main Events and now vice-president of Lou DiBella’s promotional company. “Because of what some of them have done they’re not looked upon as a joke the way they were the first year. 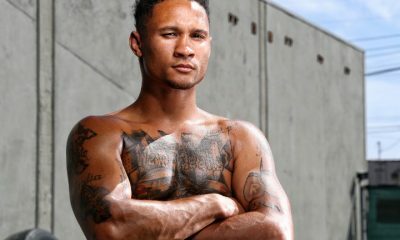 Sergio Mora, who unwisely turned down a shot at then middleweight champion Jermain Taylor a year ago for unfathomable reasons, will be seen in the same light if he can find a way to upset former two-time world champion Vernon Forrest when they meet on June 7 for the WBC super welterweight title. 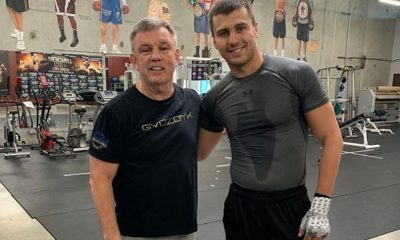 And season two “Contender’’ champion Steve Forbes is in a potentially career-altering fight May 3 against Oscar De La Hoya. If any of them pull off the upset, there will be little room left for their critics to continue claiming “The Contenders’’ are nothing more than pretenders. Although many boxing insiders legitimately feel fighters like Forbes and Bika, who had solid professional careers already in progress before they went the reality route, don’t fit the model established in the first year of the show they are now all identified with what has become “The Contender’’ brand because, frankly, they are better known than they ever were when they were on their own. That’s a phenomenon that began in the first season when Gomez and Mora in particular were plucked from obscurity and became household names, along with Providence’s Peter Manfredo. 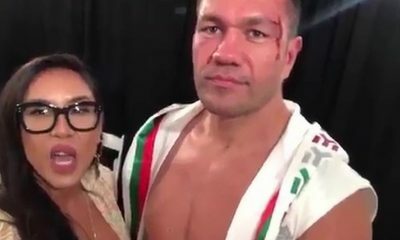 This happened, the show’s creators concede, because of the drama that swirled around their outside-the-ring lives more than from their boxing skills but they argue that does not mean they had too little of the latter to compete. 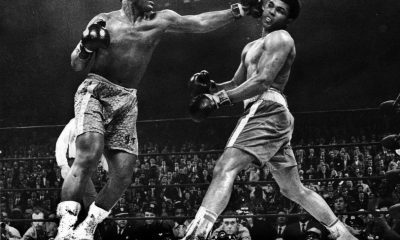 One of the show’s producers, Jeff Wald, believes the sudden notoriety those fighters received created a built-in bias against them in the hidebound world of prize fighting that only recently has begun to change. “All this reality TV stuff is b.s,’’ the often bombastic Wald thundered this week. “The boxing purists who knock these kids are the same guys who have kept the sport in the Dark Ages for decades. The boxing purists are the same people who put boxing in the toilet. They’re the guys who raped, pillaged and burned the sport for years, became millionaires and gave it back nothing. “Yet boxing still thrives. You can’t kill it no matter how they mistreated it because it’s such a pure sport. It’s one-on-one combat between the best conditioned athletes in the world. The reality is every one of these guys on the Contender was a professional fighter before he ever came on the show. By the time they left, guys Alfonso and Sergio had become rock stars and some people didn’t like it so they criticized them and minimized their accomplishments. While things might not be quite as simple as that, there is no question that Gomez’s startling destruction of Gatti and his close victory over Tackie despite his injured hand has opened some eyes. So too have the wins of Vera over Lee, who trainer Emanuel Steward kept insisting was destined to be the next great middleweight champion, and Bundrage over Ouma, who was able to back up Taylor when he faced him but not so lucky with the 2006 ‘Contender’’ finalist. “I think we’ve proven ourselves,’’ Gomez said of himself and his Contender alumni. “People kept trying to find excuses why this reality fighter beat that “real’’ fighter but after a while they had to give you credit. 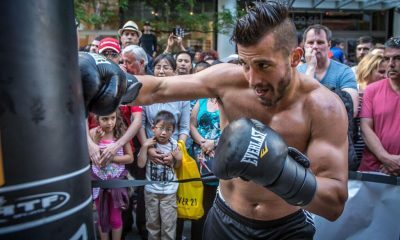 That opportunity came for a handful of fighters like Gomez on a reality TV series that lifted them out of boxing’s shadows, where most boxers spend their lives, and onto a national television stage that long ago abandoned the sport. With that exposure came notoriety and opportunity. 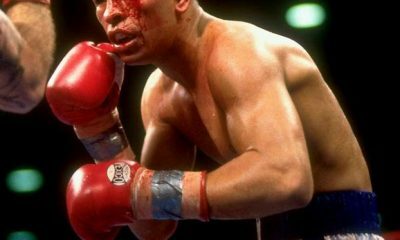 For some, like Manfredo, it led to a title shot against Calzaghe he wasn’t ready for but for Gomez, Vera and Bundrage it has led to fights that allowed them to prove they were more than their critics ever gave them credit for…although that didn’t stop some from changing the deal in the middle of the game. 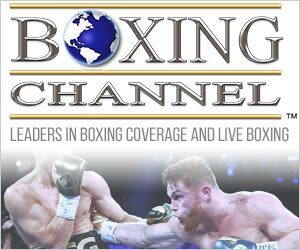 Wald is hoping Gomez can pull off just such an upset even though he is a heavy underdog against arguably the most dangerous welterweight in the world. If not, Wald insisted, perhaps Forbes can strike with the same kind of magic against De La Hoya, who will be fighting for the first time in 364 days, Gomez found against Gatti. 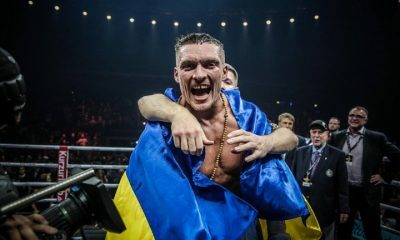 Or maybe Mora can use his speed and long jab to take down the 37-year-old Forrest and become the first Contender champion to also become a world champion. Whatever happens, Jeff Wald believes the boxing world has finally begun to see the light. 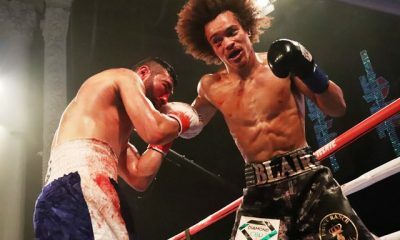 Grudgingly, he says, at least some “Contender’’ critics have begun to change their point of view on the best of the fighters the show has produced because they have done what no one thought they could do but which no one can deny. Lately, they’ve won. “Some of their guys are getting significant fights and winning them,’’ Moretti said. “Beating Lee was a big win for a guy like Vera. He’ll get another good fight because of it. He’ll get another opportunity to prove something. “I don’t think Gomez figures to beat Cotto but I think it will be a competitive one-sided fight because he’s a tough guy with a great chin but I have to admit I’m one of those guys who said he had no chance against Arturo either and look what he did. So who knows?